Southern Living recently published a story on “50 Undiscovered Places You’ll Love in the South.” Talbot County earned its rightful place in the article next to destinations like Bay St. Louis, Mississippi, and Covington, Louisiana. “Talbot County has 600 miles of scenic shoreline,” the article says, and it goes on to describe how Tilghman Island (pictured) is a gem among the shoreline and the area is rich in gorgeous architecture with plenty of things to see and do. 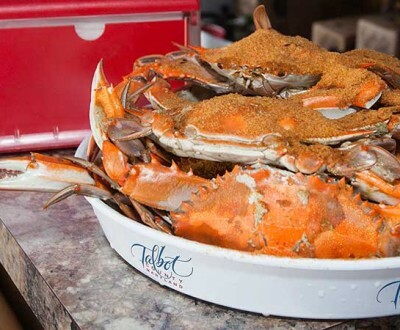 The story also describes Talbot County as the best place to “explore the shore” in the South. “Whether you prefer biking or paddling, download a trail map from Talbot’s website and set off to see this picturesque county on the Chesapeake,” it says, encouraging readers to stay active while exploring the area. For first-time visitors, Talbot County will wow them with its historic Colonial-era architecture, rural landscapes, and charming small towns like Easton and St. Michaels.